What Concierge solution do you use? A request management tool to keep you and your concierge team organized so you can focus on exceeding your guests' expectations. Enhance your guest experience with a custom designed collection of Virtual Concierge Mobile Apps for your guests to experience in the lobby as well as to enjoy on their own mobile devices throughout their entire stay. Comprehensive concierge application supporting information and bookings for attractions, events, tours and restaurants, as well as luggage, parcel and transportation operations. Complete third party reservations conveniently on behalf of your guests. ResortSuite CONCIERGE allows a property to manage external reservations and partner information another way to personalize and deliver a five-star guest experience. Hotelcloud develops applications for hotels and apartments rentals that enables their guests to order any internal service and book local attractions. The Concierge Front Office Software offers small to mid sized hotels, motels, apartments and accommodation venues a reservations management package. Concierge system that streamlines operations making your desk more productive. Hotel widget providing customized guide including rich database of events and attractions for the exploration of surrounding places near the hotel. An intelligent guest CRM which uses SMS texting for recommendations, itineraries and everyday requests. Concierge Organizer is the ultimate software for managing a Hotel Concierge service. * We monitor all Gooster reviews to prevent fraudulent reviews and keep review quality high. We do not post reviews by company employees or direct competitors. Validated reviews require the user to submit a screenshot of the product containing their user ID, in order to verify a user is an actual user of the product. Hi there! 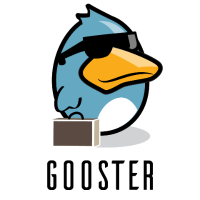 Are you looking to implement a solution like Gooster?